Staffin is located in the area of Skye known as Trotternish. This is the north-eastern wing of the Isle of Skye, and its name is derived from the Norse, meaning Thrond's Headland. Trotternish can justifiably boast of having more than its fair share of natural beauty. Every turn of the road presents a magnificent prospect of mountains, moorland, lochs and sea. 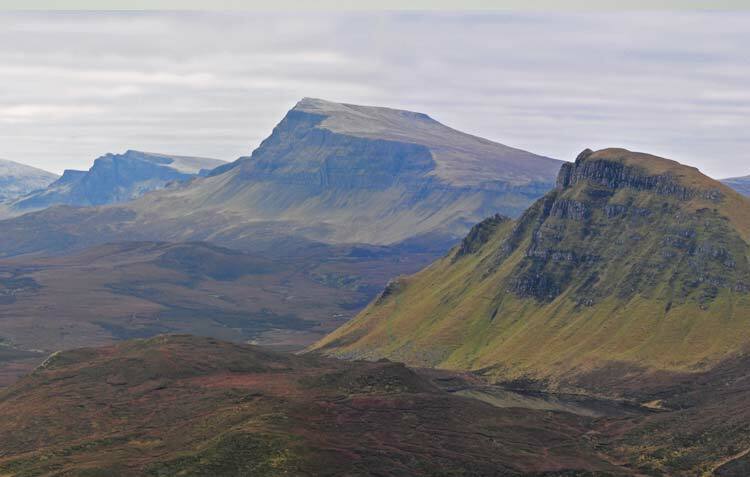 The 22 mile long Trotternish Ridge is a haven for walkers, with highlights being the dramatic Quiraing and the Old Man of Storr. 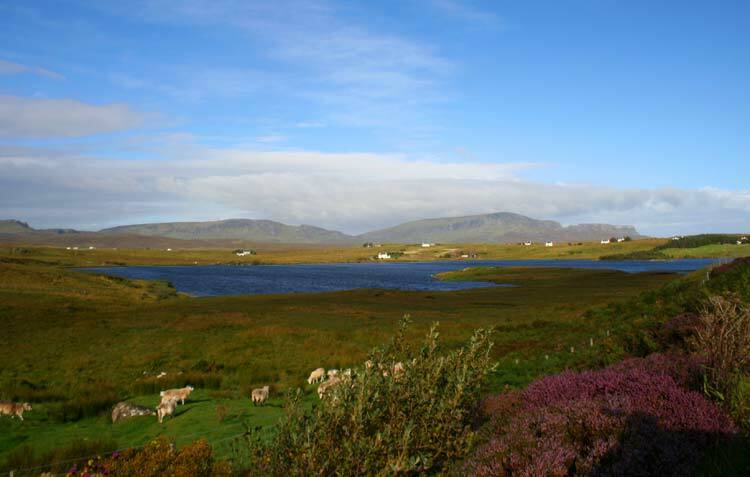 Trotternish invites the visitor to discover adventure and beauty but it has something else to offer that goes a long way to make a holiday memorable - "hospitality". You will find people friendly and only too happy to help you or share their knowledge of the area with you. The culture is unique, orchestrated as it is by the ancient Gaelic language spoken and sung by the local people. The local area has plenty to offer from fishing and walking to places of archeological interest. 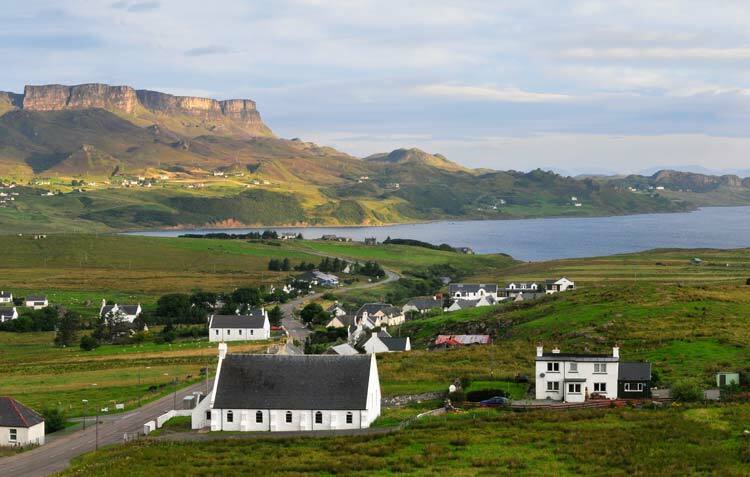 The pretty fishing village of Uig is only 7 mile away with it's ferry connections to the Outer Hebrides. 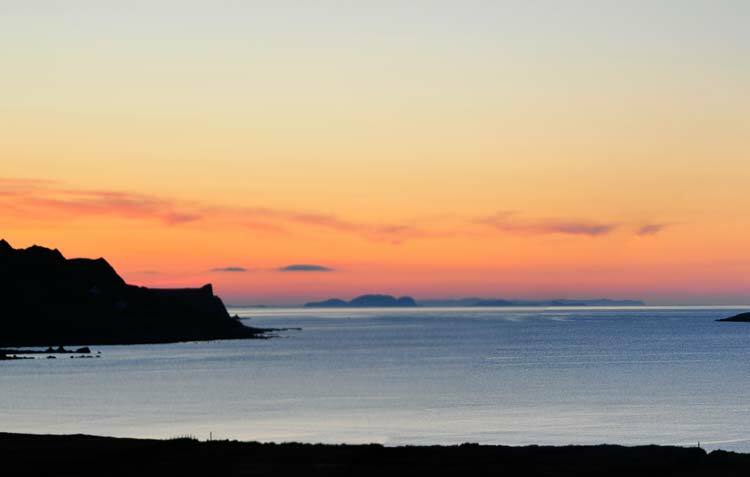 If your idea of the perfect holiday is discovering interesting places, meeting friendly people and finding new things to do at a leisurely pace, then this area of Skye is the place for you. Staffin village has two shops, a museum, post office, church, fuel station, tea room, restaurant at Columba 1400 and Glenview Hotel. 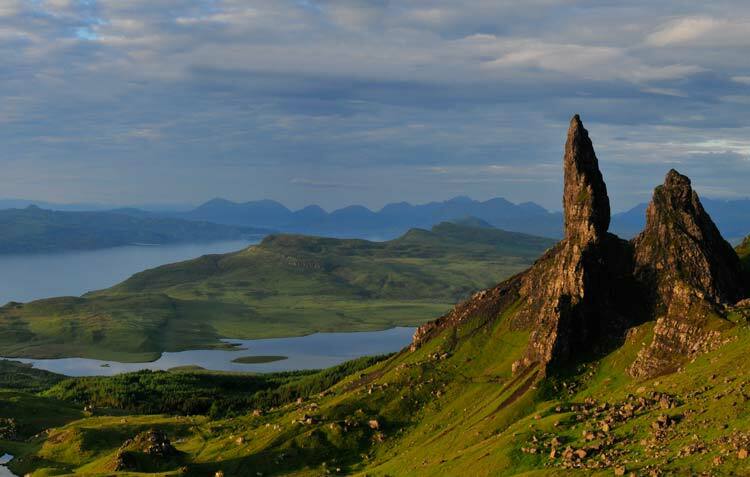 Skye is a walker's and climber's paradise from the Cuillin mountains to coastal walks.